Now that Big Brother has started, we wanted to remind you of some site features you will enjoy… Everything from videos to cell phone alerts. One of the most popular areas of our website is our video collection. Our forum members are constantly adding videos from the live feeds and commercials. In fact, many videos from the first night of live feeds have already been posted. Our forum members are also constantly discussing Big Brother and evaluating the houseguests’ every move. 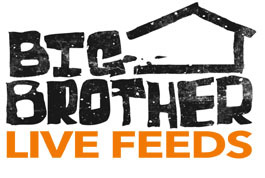 We recommend you sign up for an account and start chatting about Big Brother! Our newest feature this year provides you the option to receive a text message on your cell phone immediately whenever we add news. To sign up for cell phone text alerts, simply send a text to 40404 with the message â€œfollow wlbbâ€ and follow the instructions that will be sent to you. For more advanced options, including instructions for Canadian viewers, sign up online. When important news breaks during the season, it goes straight to your email. Sign up for this free feature and never miss a moment of the fun!